Autumn is the best time of the year for suede clothing. This lightweight leather is thick enough to keep you warm without the bulkiness. 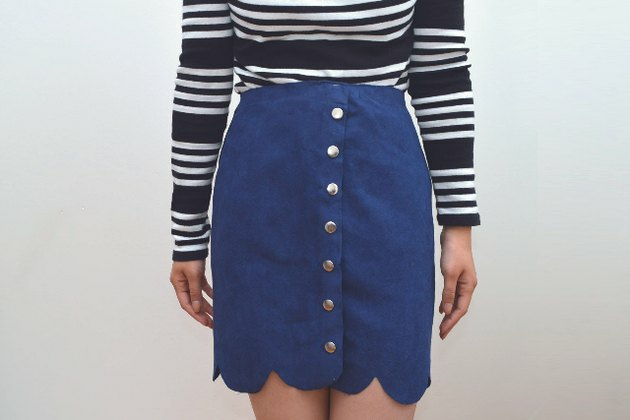 For a fun and flirty way to wear suede, create a DIY version of this $99 ASOS skirt with a scalloped hem. 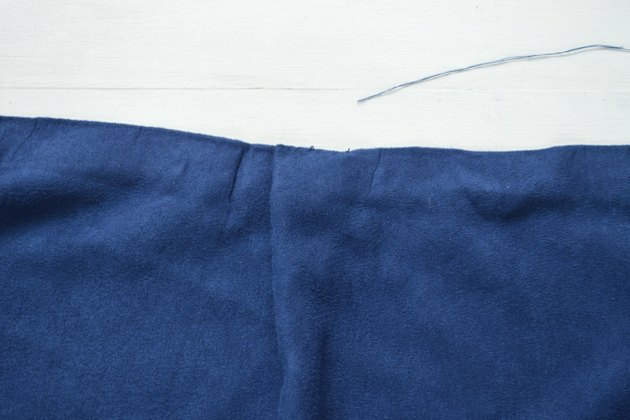 With this tutorial, you'll learn techniques and ideas for making it without ever touching a sewing machine. 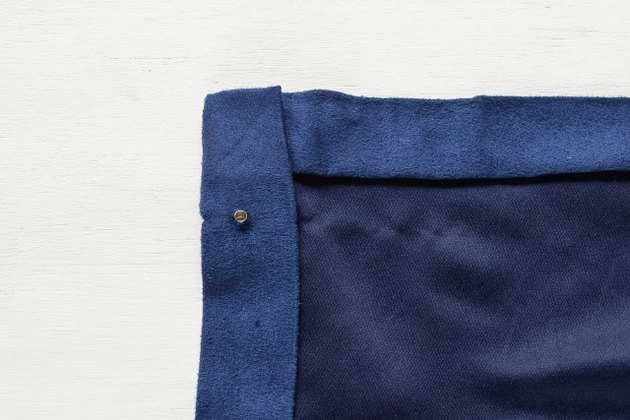 The size of your suede fabric will depend on your waist measurement and desired skirt length. 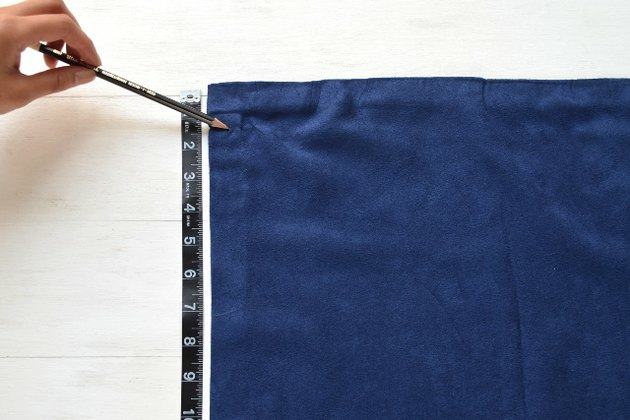 To determine the width of the suede fabric, add 10 inches to your waist measurement. 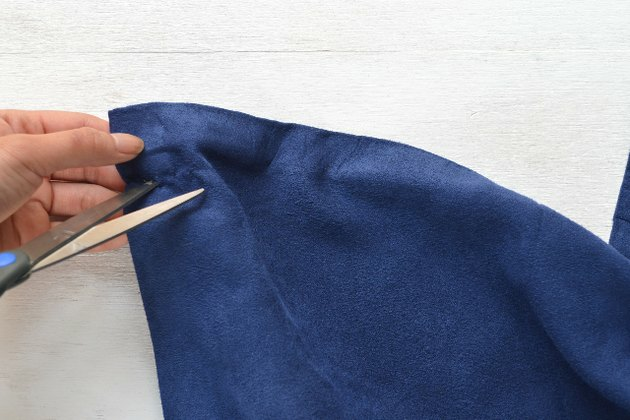 To determine the length, add three inches to your desired skirt length measurement. 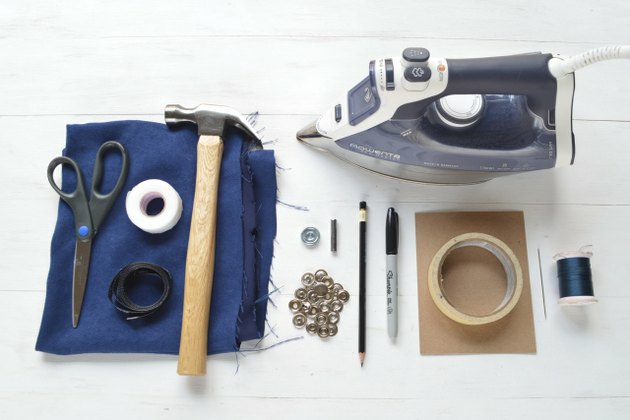 Snap button kits can be found in the sewing notions section of fabric and craft stores. 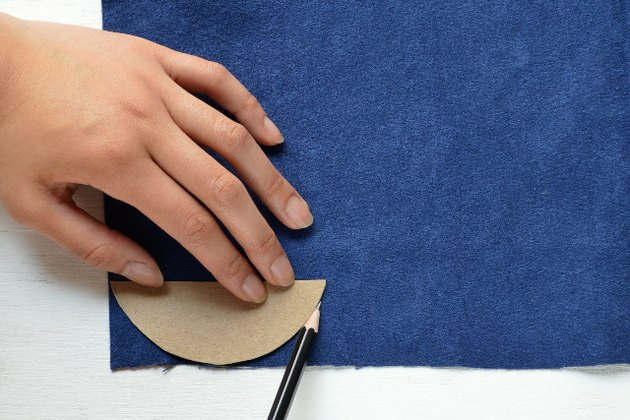 Lay out the suede on a flat surface. 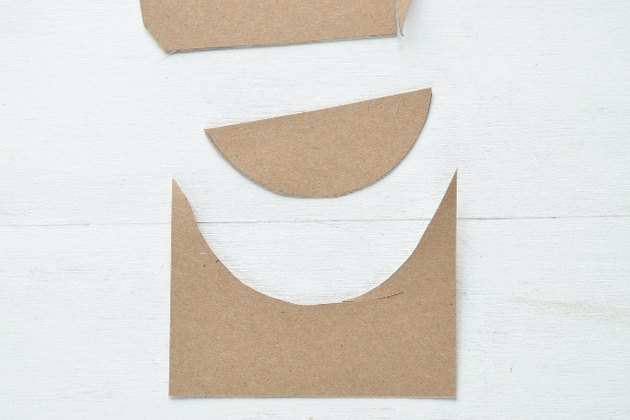 Along one of the long edges, create a 1-inch fold. 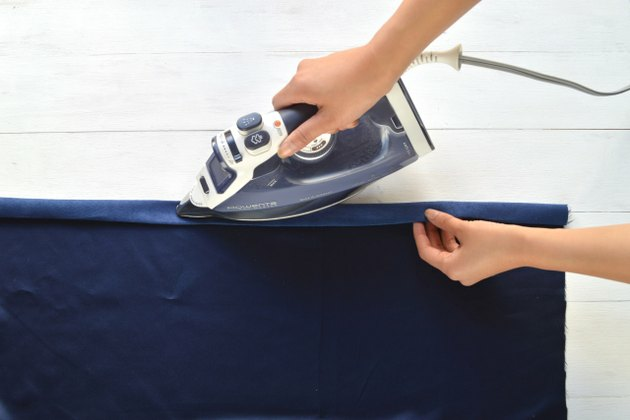 Set your iron to "Low" or "Silk." 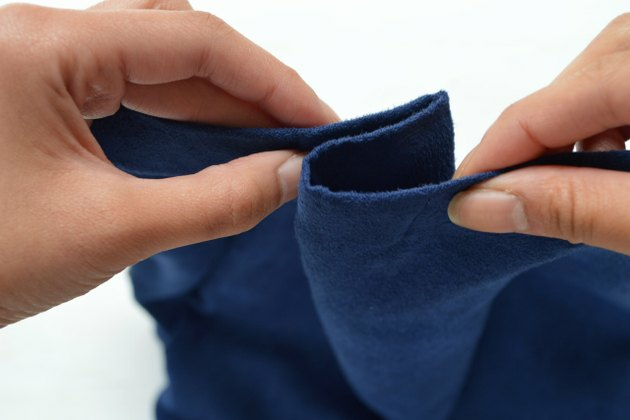 Press and hold on the fold for 10 to 15 seconds. 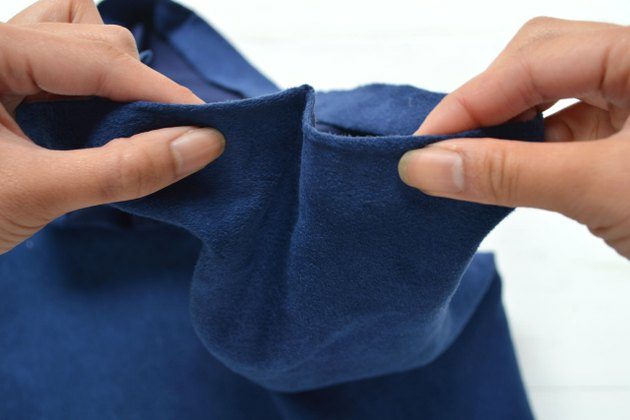 Suede fabric gets very hot when ironed. Use caution when handling hot fabric. Let the fabric cool before touching. Cut a strand of fusible webbing tape. This strand should be long enough to span the entire width of the suede. Place the fusible webbing tape just under the fold. Make sure the webbing is not inside the fold. Create another 1-inch fold. The webbing tape should now be sandwiched in between the fold. 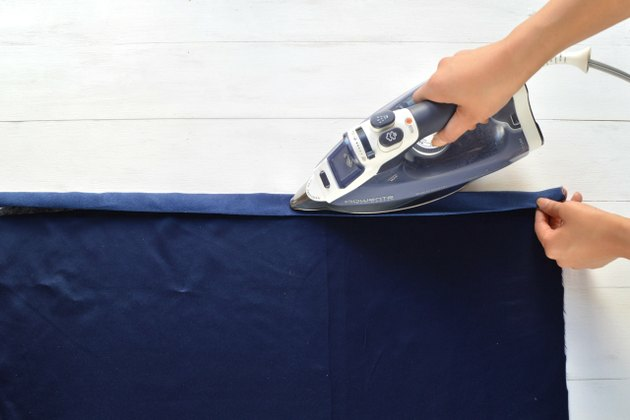 Press the iron across the fold, moving every 10-15 seconds or until the tape melts. Move along the fold in short intervals. If needed, press the iron along the "front" side of the suede to further melt the webbing tape. 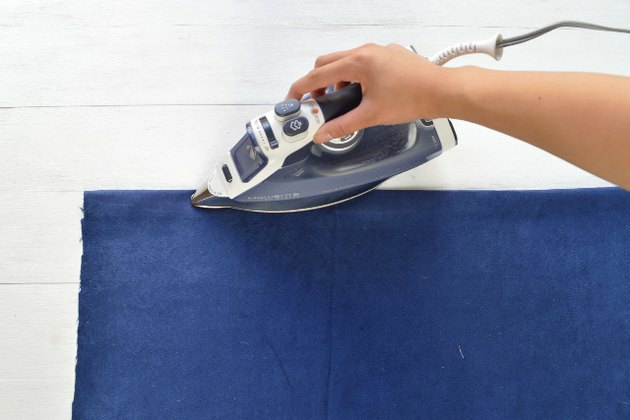 Simply flip the suede over and press the iron. Repeat Steps 1 through 4 on the left and right edges of the suede. This will create a nice finished hem on three sides of the suede. 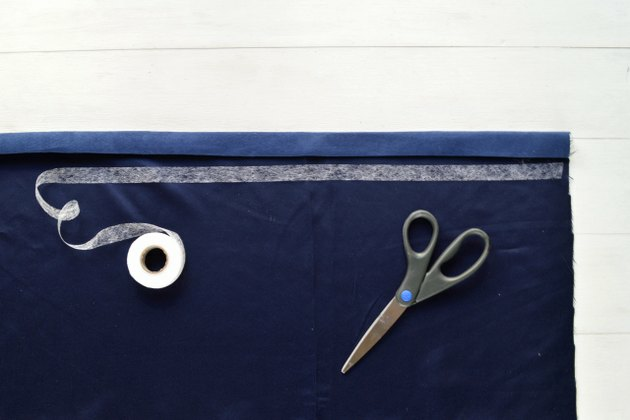 To create your scallop hem template, trace the bottom half of the masking tape roll on the piece of cardboard. Cut out a half circle. Trace the half circle along the bottom raw edge of the suede. For best results, the bottom of the half circle should meet the bottom of the raw edge. A pencil is useful for leaving a light indent in the suede. 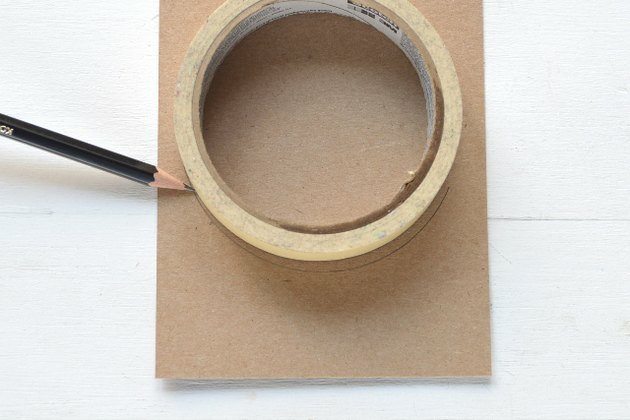 If you are having difficulty seeing the pencil lines, you can use a marker. 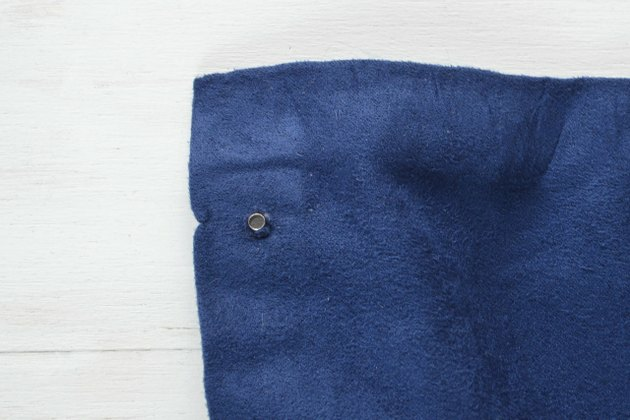 Repeat along the entire bottom edge of the suede. Cut along the curved lines. 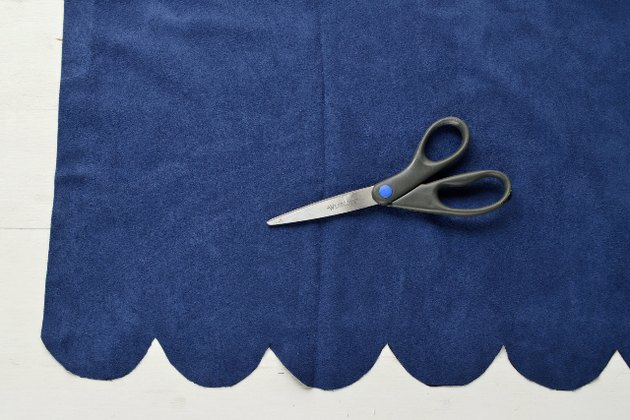 With the suede fabric facing right side up, measure equal intervals along the left edge. Make a mark at each interval with a pencil or marker. These marks will indicate the placement of each button. Repeat along the opposite (right) side. For this project, each mark was created at 2.5-inch intervals. Pierce a hole at each mark. 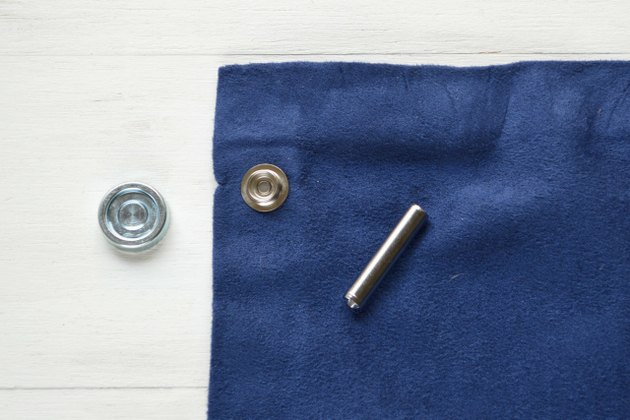 Each snap set includes a cap, socket, post, and stud. 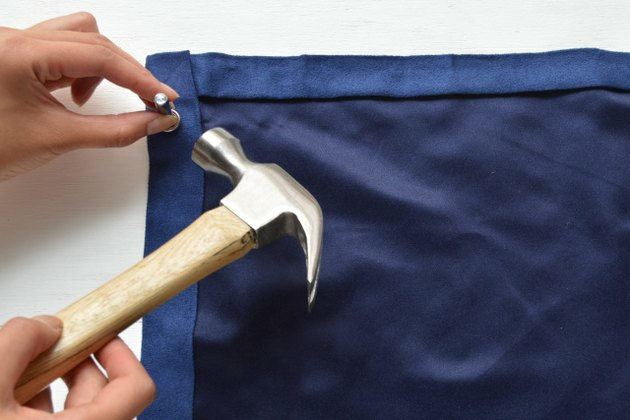 The cap and socket are hammered together on one side of the fabric. The post and stud are hammered onto the other side. When joined together, the two sides act as a button. Snap kits also include an anvil and a metal tool. With the help of a hammer, these tools join the above components together. To apply the heavy duty snap buttons, follow the instructions on the packaging of your kit. Different brands may have slightly different instructions. 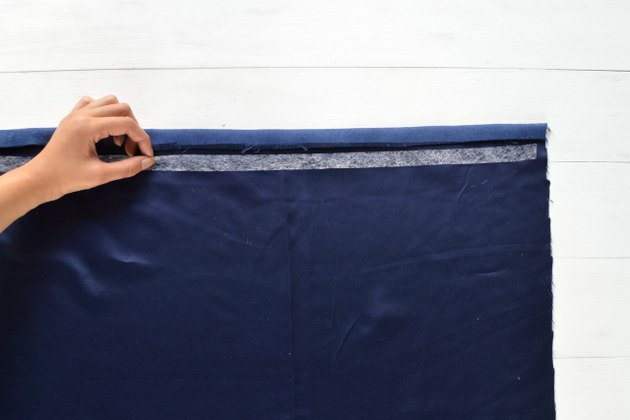 Push the post component under and through the fabric. Place the stud over the post. At this point, the post is still underneath the fabric. Place it on the anvil and insert the metal tool into the stud. 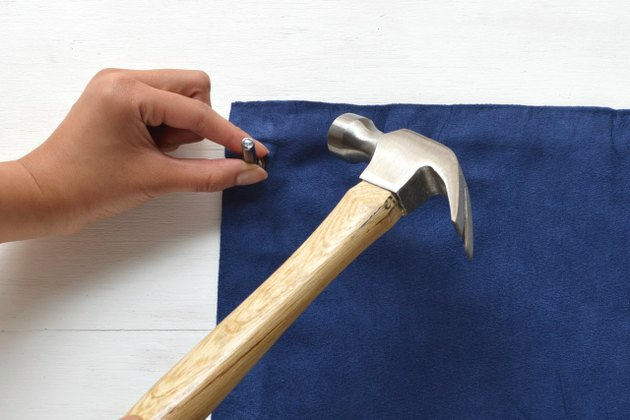 Hammer until the post and stud are tightly joined together. This completes one side of a snap button. 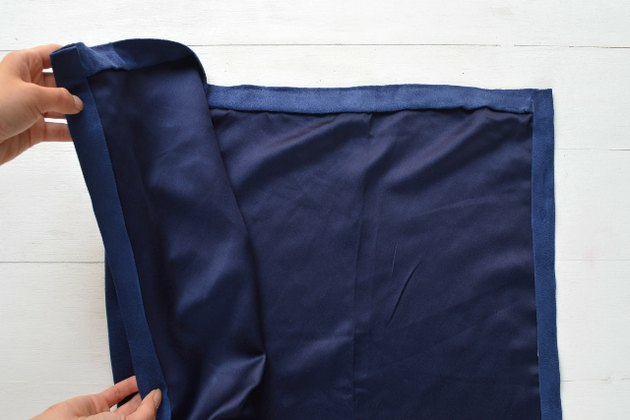 Flip the fabric over so that the lining is facing upward. Pierce a hole at the first mark you created in Step 10. From underneath the fabric, push the cap from right to wrong side. Position the socket over the cap. Place the cap into the anvil and hammer in place. This step completes the other side of a snap button. Repeat Steps 12 through 17 until all of the snap buttons are set in the fabric. 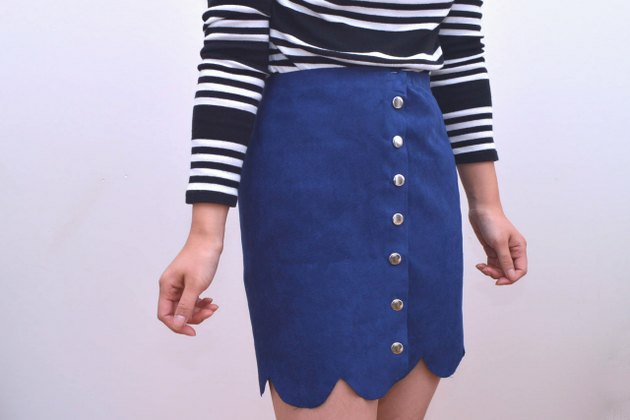 At this point, the skirt is 6 inches larger than your waist measurement. 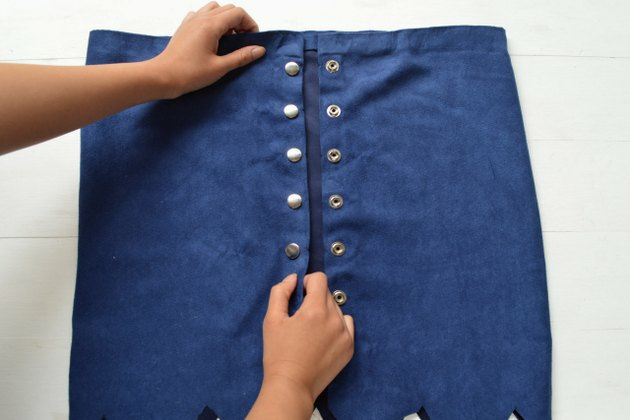 You will create a total of three pleats at the waist: one on each side and one near the small of your back. 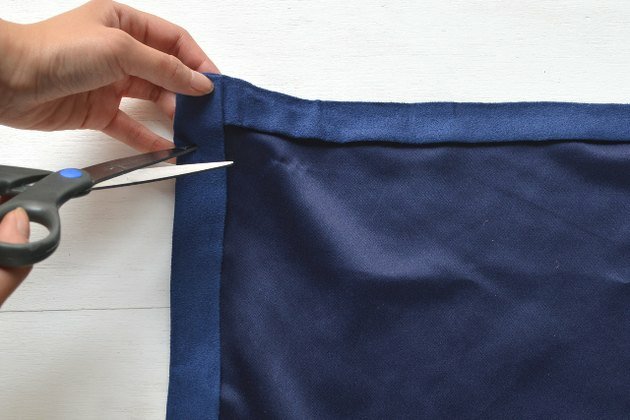 To create a pleat, create a 1-inch wide double fold. 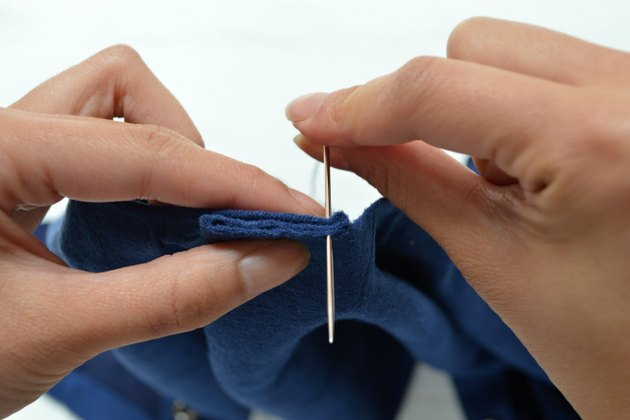 To stitch the pleat in place, insert a threaded needle through the folds. Bring the needle over to the side you started on. 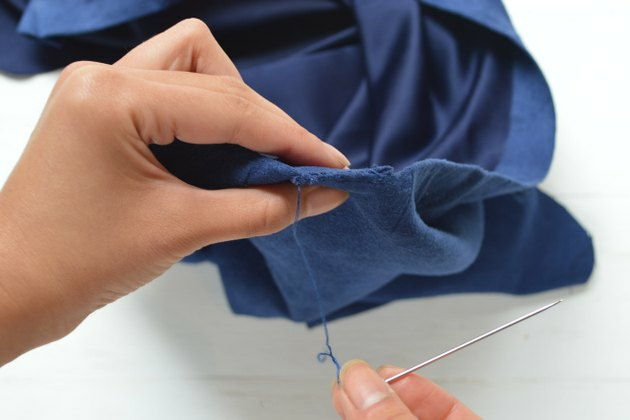 Re-insert the needle through the pleat and pull through. This creates one whip stitch. Continue until the entire pleat is stitched together. 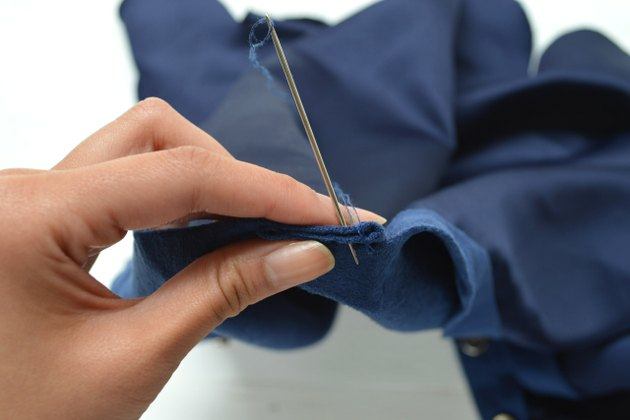 Tie a tight triple knot and cut away the excess thread. Repeat Steps 19 through 24 to create two more pleats.